Partly due to the success of The Hunger Games, the Young Adult genre swerved into the survival/sci-fi/dystopian genres that also allowed The Maze Runner to have a ready and willing audience. With this being the case, I’d almost say The Maze Runner has more utopian sensibilities since the narrative encourages teamwork for survival, instead of a “winner take all” emphasis presented in The Hunger Games that valued selfish ambitions over communistic altruism. Plus, if you put 50 teenage boys in a box with no adult supervision, I think the logical conclusion would be more along the lines of Lord of the Flies instead of solving a deadly maze. While the premise was interesting and allowed for a constant and steady pacing of inciting events, I felt there was not enough explanation in this first part of the trilogy, with very few questions being answered by the end and a lot of hand-waving to push the characters forward to a conclusion. In fact, having seen the movie adaptation, I was hoping the book was better suited to explain the ending, but it was equally as confusing. That being said, there were key elements in the book (like the telepathy) that didn’t make it into the movie. Overall, the few main characters in The Maze Runner were interesting and unique, even if it took some of them two years to even figure out the simplest parts of the maze. Still, fear can be a huge hindrance toward progress, so I guess I understand their predicament. Additionally, despite using a euphemistic system of swears as part of the characters’ unique jargon, I couldn’t help but think that this book would have been a lot more inappropriate for a young adult audience if the actual swear words were used instead. 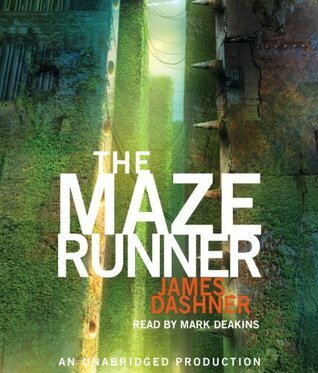 An interesting premise with engaging characters, I give The Maze Runner 3.5 stars out of 5.